Fig. 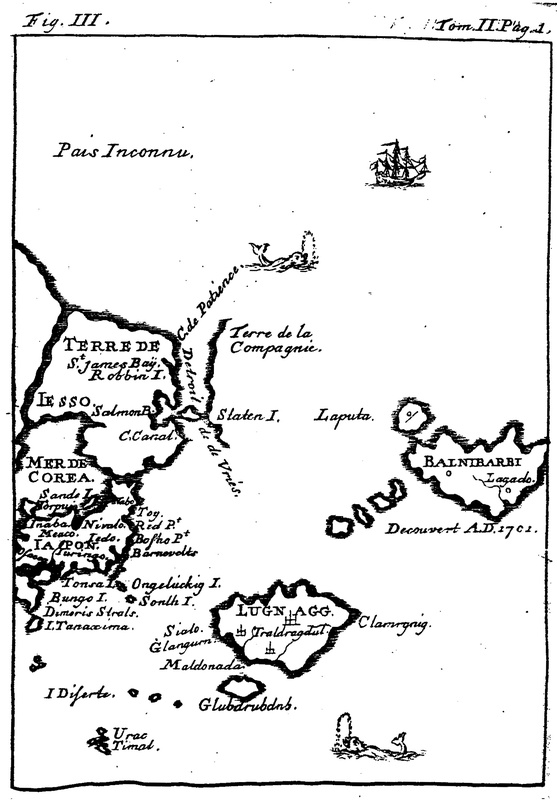 1 – The flying and floating island of Laputa was moving in a curious way along the northern periphery of the island Balnibarbi.Voyages du captaine L. Gulliver en divers pays éloigne – Jonathan Swift (1727). We have seen that the wisdom of Parmenides (What is, is) and the consequences of that vision are part of a position situated in the First Quadrant. This location and the subsequent observations are of the utmost importance for the whole bearing of the communication. It provides the scope and intentions of all interactions: geared towards a unity without boundaries. A modern representative of the idea of ‘unity thinking’ is the French Jesuit priest and paleontologist Teilhard de Chardin (1881 – 1955). He tried to integrate the religious experience with natural science by taking a ‘First Quadrant’ stance towards the world. Mankind was heading, in his view, to a convergence of systems, the Omega point. 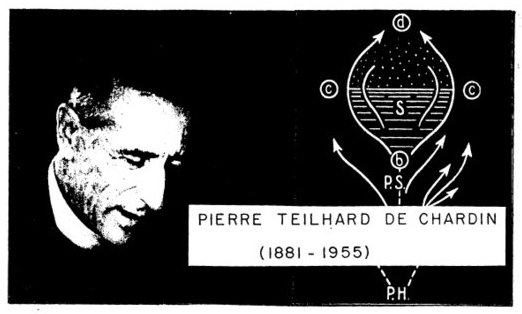 Teilhard de Chardin proposed a new level of consciousness, which was called – with a neologism – the noosphere, a planetary thinking network. Human lives were, in his view, at their deepest being connected in a global communication system. Exchange of knowledge and co-operative research would result in a gathering of collective minds, with the opportunity of instantaneous feed-back and eventually leading to a world in harmony. Jennifer Cobb Kreisberg noted in 1995 that such a state was more or less reached in the Internet, with its worldwide electronic web encircling the earth. ‘Teilhard saw the Net coming more than half a century before it arrived. He believed this vast thinking membrane would ultimately coalesce into “the living unity of a single tissue” containing our collective thoughts and experiences’ (KREISBERG, 1995). The sharp critique of British biologist and Nobel laureate Peter MEDAWAR (1915 – 1987) on ‘The Phenomenon of Man’ (1961) aimed predominantly at the extreme elements and ‘nothing-buttery’ in Teilhard’s style. In addition, the concept of consciousness and the nature of directional evolution (towards a higher cerebralisation) comes under attack. Teilhard’s suggestion that evolution has a direction (to a ‘higher’ goal) is, indeed, a sign of lower division thinking. On the other hand, his idea that the human conscience is shaped as a specific result of an organized complexity is a viable working hypothesis. His sketch of a ‘global vision of the universe wherein matter and spirit, body and soul, nature and super-nature, science and faith find their unity in Christ’ might not be scientific, but it is – at the least – a stimulating concept. Teilhard de Chardin envisaged the Ultimate Unity (UU) – or Omega – as a place to accommodate the opposites. The Terminal Point of Evolution acts in the same way as the medieval mystic and scientific thinker Nicolas of Cusa (1401 – 1464) did in his book ‘De docta ignorantia’: opposites are whisked away and simply denied in one-division thinking. The chapters of his book ‘Le Phénomène Humain’ (‘The Phenomenon of Man’; written between 1938 and 1940 and published posthumously in 1955) follow a four partition: Pre-Life – Life – Thought – Survival. The foreword (p. 31) set the tone by stating that Man, as a twofold centre of the world, holds the key to the universe. The first emphasis is put on the nature and importance of seeing. It was probably this human-centered outlook, which annoyed the Roman Catholic Church. The Roman authorities prohibited the publication of his later work. What was wrong with the idea of evolution in the light of the Scriptures? It seems that the Catholic Church feared a clash of interest between the (Teilhard-invented) Point Omega and a (Church-invented) God. A quadralectic interpretation suggests a humane power struggle of the possession (and subsequent exploitation) of the invisible invisibility. The elemental matter – the stuff of the universe – shows three faces: plurality, unity and energy. They can be regarded respectively as a system, a totum (or whole) and a quantum (taken its full significance in duration). The transit to life (following the qualitative laws of growth) is ruled by oppositions, like the within (the psychic) and without (the material side) of things. Two types of energies, material and spiritual, are defined as tangential (linking elements) and radial (to a greater complexity, forwards). The earth is partitioned in a crystallizing world (of minerals) and a polymerizing sphere (of additive complexification) leading to organic compounds. The transit to life and the initial manifestations of life cannot be pinpointed at a particular fixed time. Somewhere a critical point of germination is reached and a cellular revolution (on an external/tangential/biological and an internal/radial/psychic level) could take place. The process is one of pluralisation in form as well as in number. A tree of life begins to grow and with it, a rise of consciousness occurs. The ability to think resulted in man to reflection, the power acquired by a consciousness to turn in upon itself, to know that one knows. The birth of thought, like that of life, presents itself as a discontinuity in continuity, as a mutation from zero to everything. 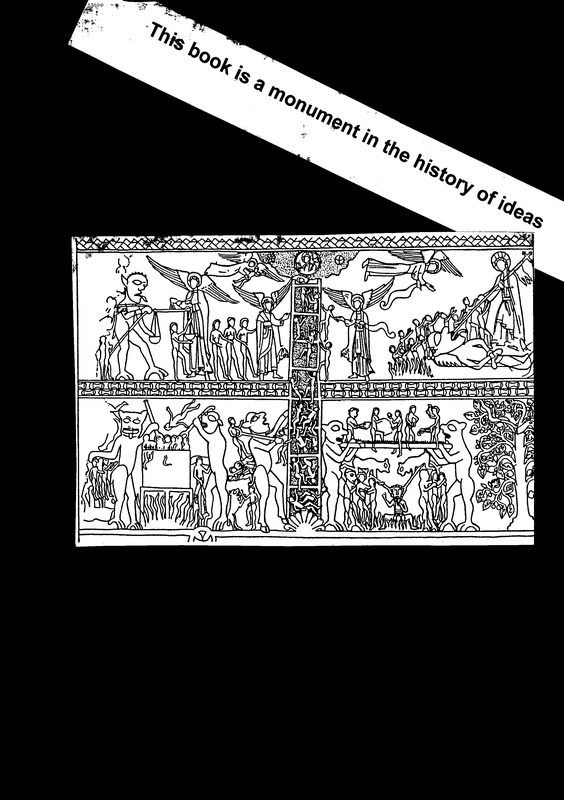 The new concepts of noogenesis (development of the mind) and the noosphere (a ‘thinking layer’) are introduced to describe the process of hominisation and civilization. 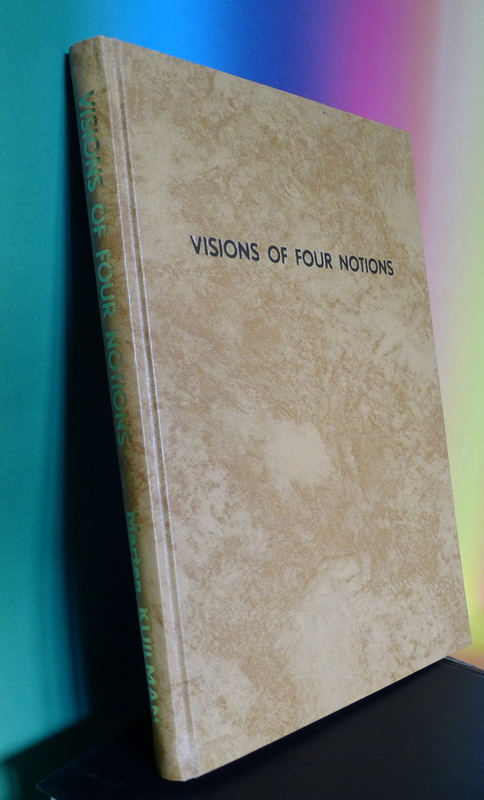 The noosphere was described by Teilhard de Chardin in ‘La Vision du Passé’ (1925, p. 92) as: ‘une sphere de la reflexion, de l’invention consciente, de l’union sentie des ames‘. In ‘The Phenomenon of Man’ (1955) he called it ‘a layer or membrane on the earth’s surface, a thinking layer superposed on the living layer of the biosphere and the lifeless layer of inorganic material, the lithosphere’. The fourth book of ‘Le Phénomène Humain’is divided in three chapters. Firstly, we are confronted with the ‘Collective Issue’. Next is the hyper-personal positioned beyond the Collective. And finally, there is the Ultimate Earth. The mega-synthesis is, according to Teilhard, the result of a natural confluence of all grains of thought. The rise of consciousness leads to a new union of mankind or ‘planetisation’. As a result it can be observed that the domain of psychical expansion ‘is staring us in the face if we would only raise our heads to look at it’ (p. 253). Teilhard communicated in his book a great vision, with a large degree of certainty: ‘There is now incontrovertible evidence that mankind has just entered the greatest period of change the world has ever known… The task before us now, if we would not perish, is to build the Earth’. We will see, throughout the quadralectic philosophy, that this quotation of Teilhard is an overstatement. The reflection on the position on Earth – both as individual and as mankind – should be more humble. Chapter 6.2.3 of the present book charts the relation between Man and Planet Earth and comes to conclusions, which do not confirm Teilhard’s perception of mankind. 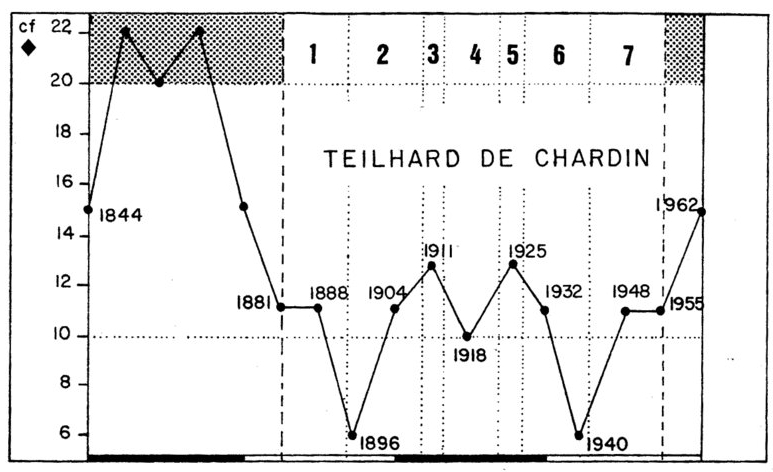 The CF-graph of the life of Teilhard de Chardin. The period of his visible visibility (1881 – 1955) is compared to the main periods in the Egyptian cultural history. 1. Archaïsche periode 3100 – 2600 v.C. 2. Oude Rijk 2600 – 2100 v.C. 3. Eerste Tussenperiode 2100 – 2000 v.C. 4. Midden Rijk 2000 – 1600 v.C. 5. Tweede Tussenperiode 1600 – 1500 v.C. 6. Nieuwe Rijk 1500 – 1000 v.C. 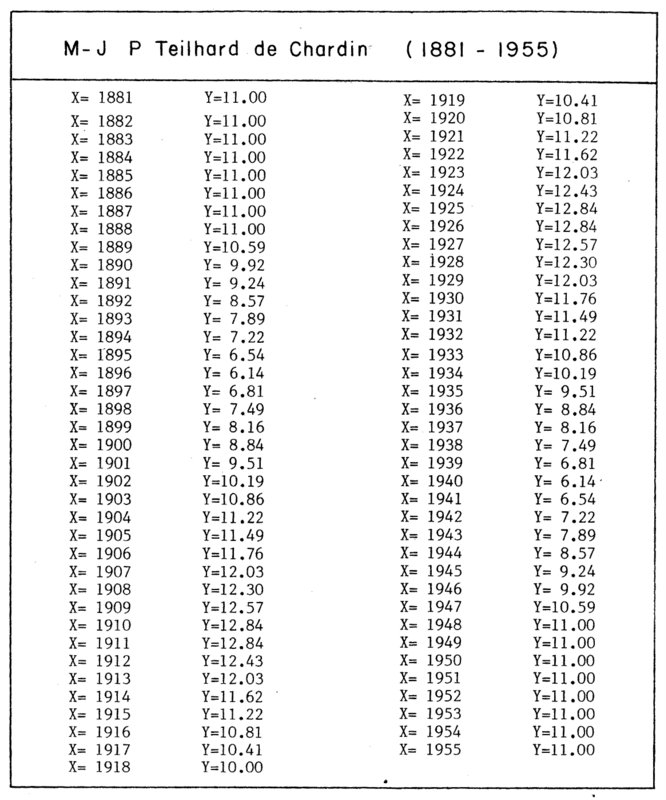 The CF-values of the visible life of Teilhard de Chardin (X) (1881 – 1955).